& at Salle Paul Fort, Nantes, France on November 21, 2012. 2 CD Digisleeve + Exclusive video content. 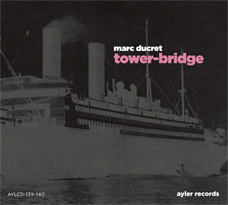 The 12-piece-band live recordings of the complete Tower 'repertoire', from two concerts during the 2012 tour, gathering all musicians from the 4 volumes of the Tower cycle (see vol. 1, vol.2, vol.3 and vol.4 for the whole story) on one stage. Complete with 2 booklets and access to exclusive video content: Tower in the Mist, a film by Sylvain Lemaire.